Raising support isn’t just something you do to allow you to do your job. It is, in itself, an integral part of your job. "It is one of the best written resources I have ever come across on the subject of fund-raising for Christian ministry. The tone of the book is sensitive and thoughtful and I felt 'safe' working through it. Reading through the workbook is more like meeting with a personal mentor on a one-to-one basis, who understands your situation. I recommend it to all those who are working in missions." 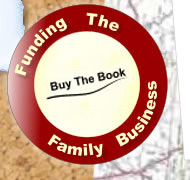 "Funding the Family Business offers a bible-based, Christ-centred way of looking at money and resources which leaves both the asker and the asked feeling blessed. 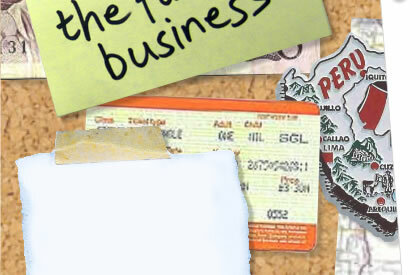 It is a refreshing approach seeing kingdom resources being used in a massive recycling system." "Our support was declining and we were considering quitting. Myles' intervention and teaching completely transformed our view of support raising and set us on a fresh course with faith and vision"
"Having worked with YWAM for some years and now being in so called 'normal' jobs, we have seen both sides of this process. We are delighted that Myles has put his experience and wisdom into print. This fantastic resource will help those who raise support do a better job of building true partnership with their supporters." "Interserve has benefited enormously from Myles' training of both staff and mission Partners. We have learnt not only how to go about raising support but why we want to do it. 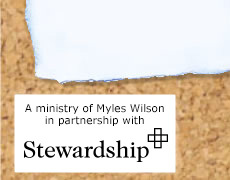 Our aim is to develop partnerships between ourselves and churches, mission partners and the projects and ministries in which we serve, both here and abroad, and Myles has helped us to achieve that much more effectively."